﻿ BSB: Silverstone national circuit set to stay? BSB: Silverstone national circuit set to stay? 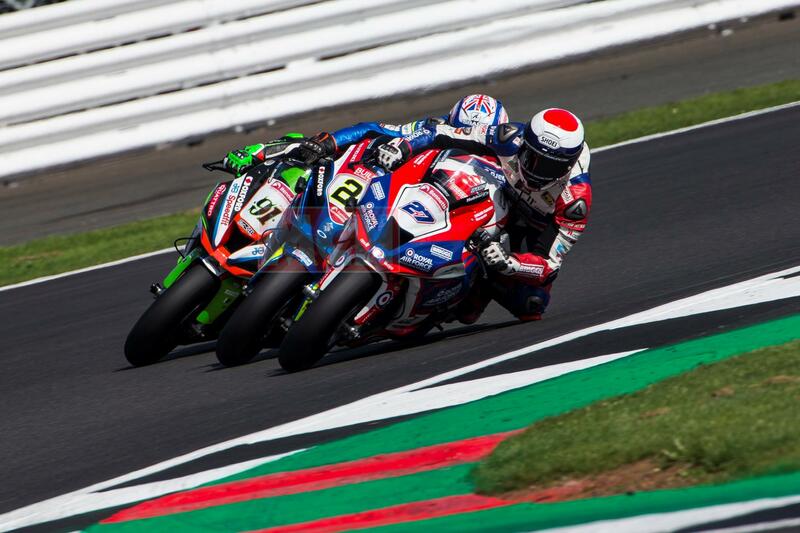 Silverstone’s national circuit could become a permanent fixture on the Bennetts British Superbike calendar after the weekend’s super-close racing. BSB bosses switched to the 1.6-mile national layout from the 3.6-mile Grand Prix track to allay fears of a repeat of last month’s British Grand Prix, which was called off due to standing water which was particularly bad in the Stowe and Vale sections of the GP course. However, with three of the closest and most exciting BSB races in recent times across the weekend and the support classes also enjoying top level action, series head honcho Stuart Higgs is considering making the shorter circuit a permanent fixture on the calendar. A poll on the official Bennetts BSB twitter account asked fans for their opinion on the matter with 63% of the 928 voters stating they preferred the national layout to the Grand Prix circuit. It might not be as popular a decision with some of the riders, though, with Silverstone's 3.6-mile Grand Prix layout a favourite for many. A permanent switch to the national circuit would further shake up a new-look BSB calendar, which is set to be released in the next few weeks. MCN understands Silverstone is likely to host the opening round of the 2019 series in April with other changes including the removal of Brands Hatch Indy in favour of two rounds at Donington Park.